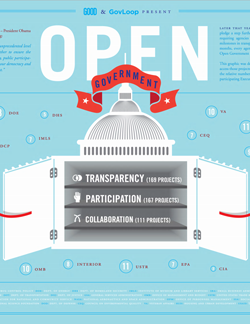 How Many Open Government Projects Are There? We’ve got a great Open Gov story (and tool) for you! Last year, former Deputy CTO for Open Government Beth Noveck reached out to GovLoop Founder Steve Ressler about leveraging the energy of community members to complete a gargantuan task: read through all of the Open Government Plans and compile a list of the hundreds of projects named within them. We had already created a dataset with all the Open Government Plans (which happens to be our 3rd most popular dataset, by the way), so we felt up to the challenge. As serendipity would have it, I met both Beth and Angie Newell at Manor.Govfresh in September, where I learned that Angie was working on a doctoral dissertation and had already completed much of the data collection already…but she couldn’t quite share it yet as she was completing a bit more analysis and adding some additional information. In the meantime, she’s provided some analysis of the project here and here. Fast forward to a month ago. By now, Beth had departed the White House…and Angie finalized the dataset with all 350+ open government projects. So Beth connected us with the GOOD guys (and I mean that literally – special shout out to Casey Caplowe and Oliver Munday). Our goal was to create a useful visualization that made it easy to find the data and they’re kinda known for their great infographics. Well here’s the happy ending – an infographic that helps you find all 350+ open government projects by agency with a few quick clicks. The circles/numbers represent the numbers of projects at an agency – click on them to see a list of the projects. You can also find projects according to the three open government pillars: collaboration, transparency and participation by clicking on those words in the vault. Not seeing a project for your agency that should be included? Let us know below! Anything that strikes you? Surprises? Insights? Challenge us. How else would you visualize the data? 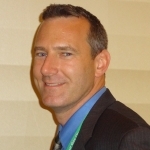 What would be helpful for you as people working on open government initiatives in your agency? What would be helpful for citizens to better see and appreciate your hard work?